What is it about cars that turns one on? Why do people spend hours watching Formula 1 Grand Prix on television? These are the questions which surely require some answering. There is a famous saying in English "Only Motorcar Racing, Mountaineering and Bull Fighting Are True Sports. The Rest Are Mere Games". Cars in India as around the World have that ability to fuel ones greed. Whether one has money or not that car is a necessity. Cars in India have become a fashion, trend setter as well as a luxury item .The auto industry in India has grown by “Leaps And Bounds”; Car financing has taken off like a rocket supporting the fast expanding auto industry in India. The greatest car brands in the World jostle for space on Indian roads with the best models Indian manufacturing Companies can produce. Stiff competition between Indian and foreign brands can only be good for the Indian Consumer whose tastes are now comparable to his Western counterparts. So How Does One Avail Of Car Loans In India? Care To Know More. Just Read On. So What Is A Car Loan? 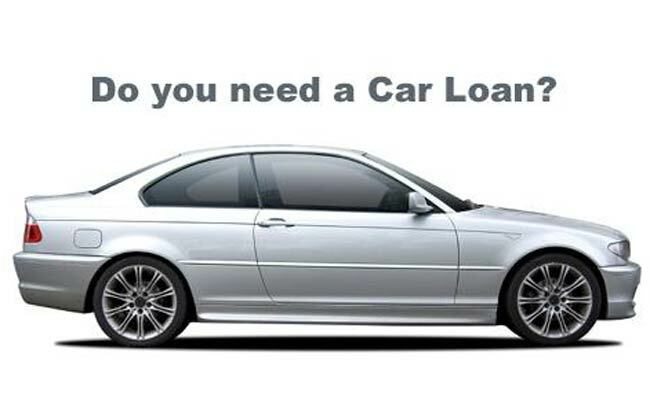 Car loans or loans to purchase cars are available for people who want to purchase brand new cars. These loans are available for a wide variety of car models and for varying amounts. One can also take loans to make use of the pre-owned cars or the used car market. Cars generally need to be within three years of age and loans for pre owned cars depend upon the type of car used .Outdated models are frowned upon and no loan is sanctioned. One can also take a loan against the new car purchased. The new car purchased can be used as security for the loan. What Are The Eligibility Criteria Required For That Car Loan? A minimum age of 21 years is required for a person to avail of a car loan in India at the time of application of that loan, and up to 58-60 Years of age at the time of maturity of the loan. The minimum income one needs in order to avail a car loan in India is 1.0 Lakh to 2.5 Lakhs per annum depending on which bank one takes the car loan from. The average quantum of loan sanctioned is 3-6 times the annual income. A person can display as proof of income the income tax documents for salaried or even if one is self employed .The latest salary slips attached with a Form 16 can also be used as an income proof. An Identify proof such as a Passport, Driving license, Pan Card, Voters Card, Ration Car, Telephone and Electricity bills are used as an address proof. An updated last six months bank statement is required. Should have a job for at least 2 Years and a minimum of a year with the current employer. Certain banks state that one has to have a continuous employment of at least 2 Years with the current employer. The interest on the car loan ranges from 10.5-12% per annum. It can go up to 16% depending on certain criteria. The time period for repayment of that car loan is 5-7 Years with a processing fee ranging from INR 1500-2500 for a loan quantum of INR 3-8 Lakhs and up to INR 5000 for a loan of INR 10 Lakhs. The processing fee can be as high as INR 10000 for loan financing of cars above 10 Lakhs. The loan margin for a new car is 15% and for an old car is 25% .This means on a new car of INR 5 Lakhs the applicant has to pay 15% of the cost of the new car mainly INR 75000 known as the down payment and the remaining amount of INR 4.25 Lakhs will be paid by the bank. The maximum quantum of loan sanctioned is 40-50 times ones annual income and certain banks sanction up to INR 1.5 Crores. For a self employed individual the minimum amounts earned can be INR 60000-100000 per annum and he should be in business for at least 3 Years. He should have a landline at his office or residence. The turnover of the business should be around 5 Lakh per annum. Audited balance sheet and Profit & Loss Account for latest two years serves as the income proof for a self employed individual. Care To Know The Art Of Car Loan Financing In India? One must always make a study of the interest rates available for that brand new car. A little research can go a long way in saving one thousands of Rupees if not Lakhs of rupees if done well. Interest rates mainly depend on the type of car as well as the tenure taken to repay those car loans. Lower interest rates can be obtained from banks if one is an existing customer of the bank. The loan sanctioning process is also much simpler. Keep aside a sum of money to make that down payment. Lots of banks insist on a down payment for that car loan. If there is no down payment involved the chances are the interest rates are on the higher side. Banks check ones credit score as well as past credit history before sanctioning that loan. Always maintain a good credit history in order to procure car loans at competitive rates .A third party guarantee mainly a friend or a relative is necessary for one to obtain that car loan. This may be waived if one has a good credit history. It is always good to use ones negotiation skills when procuring a car loan as interest rates are not set in stone .Good negotiating ability can certainly help one in obtaining car loans at competitive interest rates. Some of the major auto companies in India have a tie- up with banks for car financing operations. These tie-ups help both the bank as well as the auto Company to achieve their goals and objectives. "You Scratch My Back I Scratch Yours" is the approach followed .The auto Companies concentrate on providing the best features in their models. The bank concentrates on providing loans at a competitive rate .Both the bank as well as the auto major depend on each other’s network and the result is a win-win situation for both the parties. 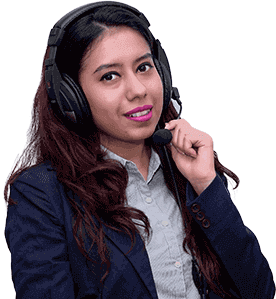 I would like to remind you that the team of Financial Planners at IndianMoney.com are always there for you to plan your car loan needs in a most effective and efficient manner. You can explore this unique Free Advisory Service just by giving a missed call on 022-6181-6111. What Are The Types Of Equated Monthly Installments (EMI) Available In India? Under this method the interest rates are fixed and the Equated Monthly Installments can be easily calculated for the entire repayment tenure .Installments can be paid at the beginning of the month known as advances or at the end of the month known as arrears. Under a step up EMI the equated monthly installments slowly rise with the passing of time. The quantum of EMI consisting of the principle and the interest increases with time. The interest is higher than that of the regular EMI’s. This helps to maintain the EMI’s at a lower level initially which rapidly rises with the passage of time thereby helping one to get rid of his car loan amounts quickly. The EMI’s tend to be higher in the beginning and gradually lessen with the passage of time. This helps to bear a higher loan burden initially which gradually lessens with the passage of time. The interest rates are higher than in the case of regular EMI’s ,but as the loan amounts are paid off quickly the principle amounts reduce rapidly and it tends to have a lesser repayment time than the regular EMI. This results in a cost saving on that car loan. Under this method a lump sum of up to 20% of the principle amount can be paid at the end of the repayment tenure. The liabilities at the end of the loan tenure are quite high .The rates of interest charged are higher but one can avail of a lower EMI burden in the initial years. Under this method the financer has a tie up with the bank in which the customer has his account. This is very useful for the customer .Whenever there is excess money in the customer’s account this can be used to pay off the car loan as an out of turn payment. These out of turn payments reduce the EMI tenure drastically or may reduce the amounts of the EMI. This helps in getting rid of that car loan quickly. What Factors Need To Be Noted While Taking A Loan For A Used Car? In India the pre-owned car market is rapidly rising .Good car models are available at bargain rates which prompts people to go for these models .People prefer to hone their driving skills on a pre owned car rather than risk damaging a new car. One crucial factor needed to be noted is the age of the car. The model of the car needs to be in circulation otherwise the car loan will not be sanctioned. One needs to consider the age of the car as well as the tenure or period for which the loan is taken. Older the car shorter is the tenure for which the loan is granted. If the car is 3 Years old one can get a loan repayment tenure of four years. Similarly if the car is 4 Years old one can get repayment tenure of three years. Similarly the rate of interest charged depends on the model of the car, the condition in which the car is purchased, the number of kilometers run, the age of the car, previous ownership of the car mainly it is believed that Doctors and Businessmen use their cars extensively. Usually up to 70-75% of financing is available for a pre-owned car. However the interest rates are generally higher for a pre owned car loan. What Would Happen If I Prepay That Car Loan? Certain banks might not charge a pre payment penalty for that car loan. However many major banks do charge a pre payment penalty for that car loan .In case a part prepayment is done after 12 Months since that first EMI then 4-5% of the part pre payment is charged as a penalty. This lasts up to 24 months since the first EMI .Beyond 24 months a part prepayment penalty of 3% may be imposed. Part pre payment is allowed only after a period of 12 months and is allowed only twice. So What Would Happen If One Were To Foreclose That Car Loan? If the loan is foreclosed within a period of a year since the first EMI then 6-7% of the principle amounts outstanding are charged as a penalty. For a period from 13 months to 24 months after the first EMI it may be 4% and it can be around 2-3% if the foreclosure is done after 2 Years since the first EMI. I would like to end this article with the great saying "The Surest Way To Ruin A Man Who Does Not Know How To Handle Money Is To Give Him Some".This means that one needs to learn to live within his limitations and not fall for extravagance based on his whims and fancies. One definitely needs to make use of the Modern benefits of easy credit availability where he can avail of car loans at competitive rates .However one needs to know where to draw that line in the sand.